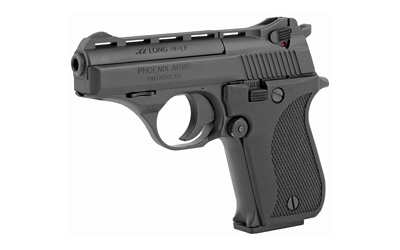 PHOENIX ARMS MODEL HP22A IS A SINGLE ACTION SEMI-AUTO .22LR CALIBER PISTOL WITH A STAGGERED 10-ROUND MAGAZINE THAT MAKES FOR A COMPACT AND COMFORTABLE FIT IN THE HAND. 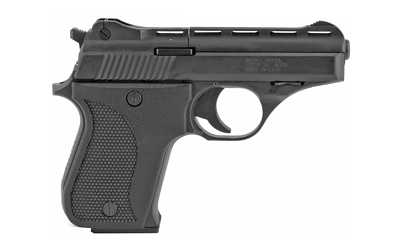 WEIGHING IN AT JUST 20 OUNCES IN A SIZE 4.1 BY 5.5 INCHES, FEATURES INCLUDE 3-INCH VENTED RIB BARREL, SERRATED TRIGGER, ADJUSTABLE REAR SIGHT, MAGAZINE INTERLOCK WITH A MANUAL SLIDE HOLD OPEN, EXTERNAL HAMMER AND FIRING PIN BLOCK SAFETY. AVAILABLE IN SATIN NICKEL OR MATTE BLACK FINISH. DESIGN FOR STANDARD VELOCITY TARGET AMMUNITION. 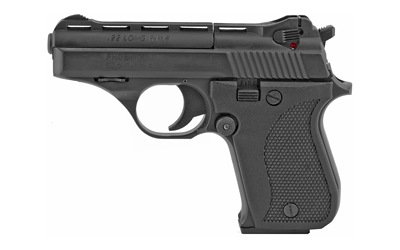 INCLUDES ONE 10-ROUND MAGAZINE.